As much as I am "born" with dogs, as far as I can remember, I have always been attracted to horses. 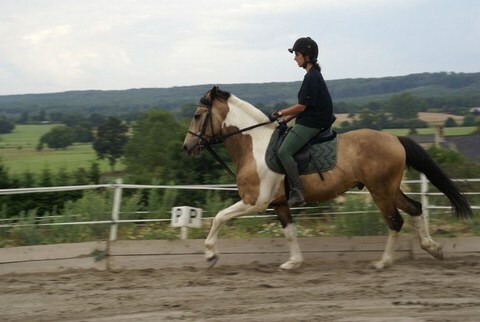 The logic was therefore respected : I started riding late at 10 years old, but at 31, I offered one of the most gift for a rider : my first horse. My "first", my kid's dream ! 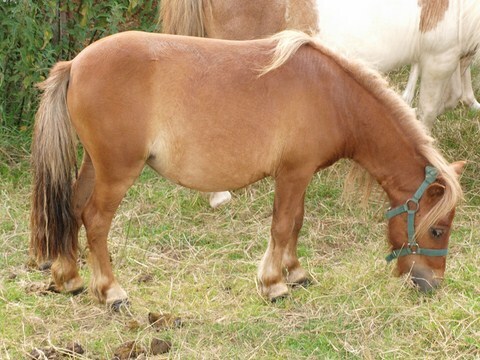 A great pony, a Spanish crossbreeding, who marries the qualities of horses and the character of ponies. Versatile, he's always up for a new discipline. He runs "nicely" in CSO and Hunter club competitions and trekking on occasion. If I had to retain only two qualities of him, it would be his generosity and his kindness. Queen is a true pot of glue ! Always behind our backs, she keeps asking for hugs. With a flawless kindness, she has nevertheless her little character.